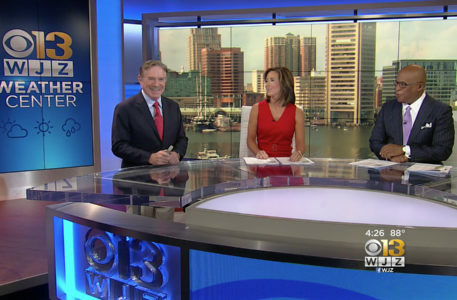 WJZ, the CBS O&O in Baltimore, debuted a new set that, while based on the solid design already installed at some of its sister stations, also adds some new and unique elements. The “cube” green room, which is positioned to the right of homebase between the anchor area and interview set, features a small, conference-room style table with chairs and benches and a triptych of video panels and is topped with a trio of sculptural globe pendants. The space is also outfitted with a small, robotic PTZ camera. 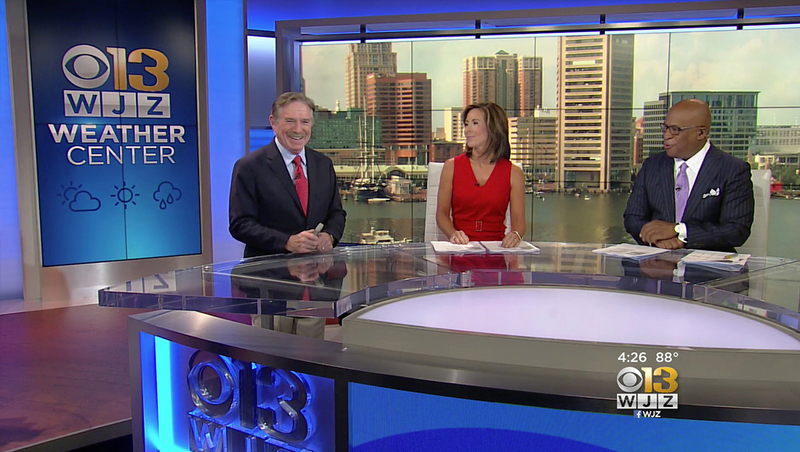 WJZ’s iteration of the CBS O&O set continues to showcase the flexibility of the base design, which still gives each station some uniqueness despite being rolled out in a handful of markets. Dennis Size and Monica Rose of The Lighting Design Group lit the set with LCD technology by Primeview and the curved desk LED by DesignLED.